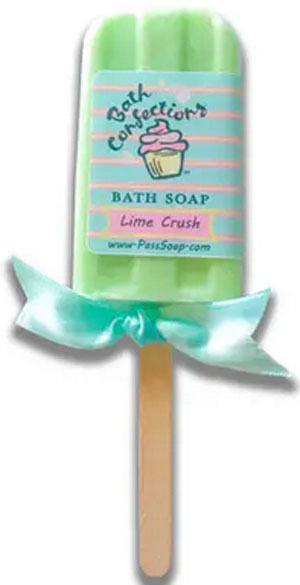 Drench your skin with this groovy green soap. The scent of fresh crushed limes and zingy ginger leaves skin moisturized and revived. 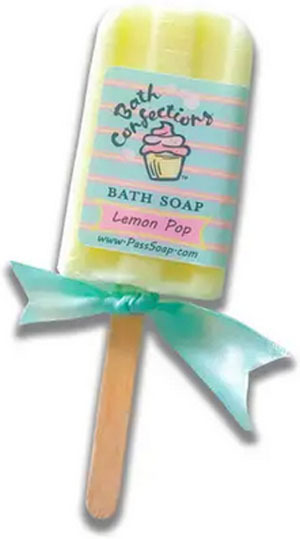 This yummy, sugary fragrance smells like the best cotton candy ever! Very Berry smells like fresh crushed strawberries with a touch of vanilla ice cream. 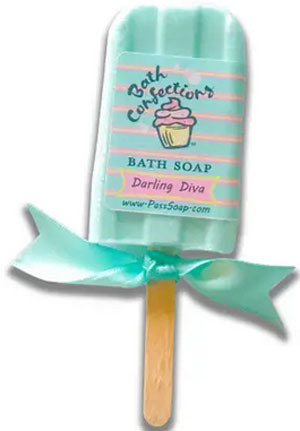 This pretty little soap pop is a delightfully flirty floral. Good Karma is just what you need to start your day. 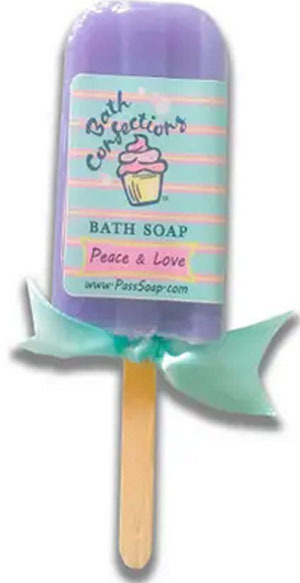 Fresh, marine air mingles with touches of coconut and lime. The perfect mind-clearing scent that leaves skin soft and smooth. This mysterious bath bomb will leave you mesmerized with it's sultry fragrance. Laced with Sandalwood and touches of Neroli, you will be forever in it's spell. Voodoo has been known to attend many Mardi Gras Balls casting it's spell. Mermaid Dreams is a fresh, bright, watery fragrance with hints of honeydew melon and fresh ocean breeze and sea spray. Light, crisp and refreshing. Drop this dreamy, colorful siren into a warm bath and watch it bubble and fizz, leaving your bath water full of skin drenching emollients and shimmering glitter.